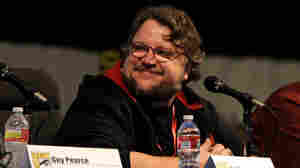 July 23, 2011  Neda Ulaby reports that a Comic-Con panel discussion with writer-director Guillermo del Toro led to an intriguing offer to fans who might be looking for an opportunity to get really up close and personal with the films they love. 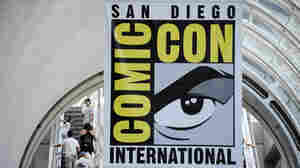 July 21, 2011  Arts reporter Neda Ulaby opens her Comic-Con 2011 coverage with a few thoughts about getting into the swing of things in this unusual "pop-culture city-state." 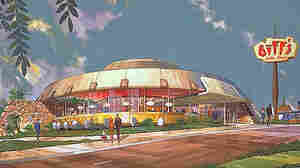 July 14, 2011  From kitchenware to office parks, the Space Age left a sleekly modern mark on the country's landscape and imagination. As the space shuttle soars through the firmament for the very last time, we appreciate some landmarks of futuristic, outer space-inspired architecture. July 8, 2011  Galban, part of the Buena Vista Social Club, was popular in Cuba long before that album. July 6, 2011  Cy Twombly's paintings, sculptures and scribbles — as some of his work's been called — are in major museums all over the world. Twombly died in Rome Tuesday. The 83-year-old artist had cancer. 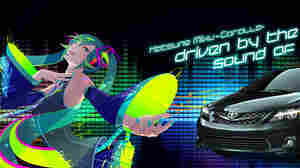 June 30, 2011  Anime character Hatsune Miku is part of the new generation of virtual bands achieving real success. 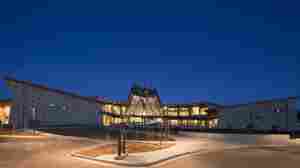 June 13, 2011  One of the country's wealthiest Native American tribes, Colorado's Southern Ute, has spent $38 million on a museum and cultural center meant to teach outsiders and young Southern Utes about the tribe's history. June 6, 2011  Katie Couric and ABC announced Monday the launch of a syndicated talk show. May 19, 2011  Mary Hart is stepping down as the host of Entertainment Tonight after almost three decades. She says that her show was the first to recognize that ordinary people were interested in the nuts and bolts of the entertainment industry. May 19, 2011  Frito-Lay recently mounted a kitchen on a marquee in the middle of New York's Times Square. The company was trying to send the message that Fritos, Cheetos and Doritos are healthy. May 12, 2011  This week's arts podcast includes a talk with country star Shania Twain, a look at the art that's bubbling up in Libya, a few time-crunched books ripped from the headlines, and new cultural happenings in New York and Los Angeles. May 9, 2011  This week: Ice-T, Libyan novelist Hisham Matar, the multi-ethnic world of the Fast And The Furious franchise, and what happened when they took Everybody Loves Raymond to Russian television, on this week's podcast of NPR's arts and culture stories. May 5, 2011  To better target non-English speaking communities nationwide, corporate giants like McDonald's and Wal-Mart are creating ads in different languages, including Mandarin, Korean and Vietnamese. As companies build these ad campaigns, they're learning what memes and mediums best appeal to different cultures. May 3, 2011  Tuesday afternoon middle schoolers across the country danced together. More or less.